On November 26, just days after lawyers for the NBA players withdrew their class action antitrust complaint in California and moved to consolidate their claims in a Minnesota Federal court, the NBA and its players announced a new labor deal. After five months of unsuccessful labor discussions between NBA owners and the NBA Players Association (NBPA), the players’ decision to disclaim the union as its collective bargaining representative and sue in federal court seems to have been the driving force behind the settlement. While fans will be happy to watch their teams compete in a truncated 66-game season beginning Christmas day, the lesson for lawyers and law students seems to be that class action lawsuits can be a powerful tool for resolving stalemated labor disputes. On November 15, a complaint was filed on behalf of Carmelo Anthony of the New York Knicks and four other athletes in federal court in Oakland, California, while Anthony Toliver of the Minnesota Timberwolves and other players filed a second suit in Minneapolis. On November 21, after the California case was assigned to a new judge in San Francisco and first appearances were scheduled for March 12, 2012, the players’ attorney consolidated the lawsuits in Minnesota with Anthony as the lead plaintiff. The complaint alleges that, in instituting the lockout, the 30 NBA member teams and their owners, “orchestrated a group boycott” against the players, constituting an “illegal agreement among competitors . . . to eliminate competition . . . and to refuse to pay contractually owed compensation to players under contract . . . in violation of Section 1 of the Sherman Act.” The complaint also alleges that the group boycott “constitutes an unreasonable restraint of trade under the rule of reason,” as well as breach of contract, tortious interference with prospective contractual relations (for a subclass of players or potential players not under contract), and tortious interference with contract. 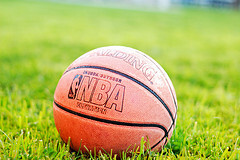 Complicating the players’ class action was the fact that before instituting the lockout, the NBA filed its own action in the Southern District of New York seeking declaratory relief that the lockout was legal and exempt from antitrust lawsuits. Given the recent announcement that the NBA and the players have reached a deal, both suits are now moot. Unfortunately, lawyers and law students who would have eagerly followed the litigation will have to wait until the next major sports uprising to fulfill their intellectual curiosity. This is particularly disappointing because the lawsuits would have raised several interesting questions of law and legal strategy that would have been worth following. First, it would have been interesting to see if the three subclasses of players (those under contract, free agents, and those eligible to play in the NBA – the “Rookies”) would have been certified. Because these categories are readily definable, the answer almost certainly would have been yes. Second, and more complicated, is whether the players actually advanced a viable cause of action for antitrust under the Sherman Act. As evidenced by their preemptive suit for declaratory relief, the NBA clearly believed its actions were legal, while the players’ lawsuit demonstrates equally strong conviction. The two lawsuits would also have raised interesting procedural questions regarding venue and litigation strategy. For example, because the NBA filed first, it would likely have argued that the Minnesota action should be stayed until a decision is reached in New York. Meanwhile, the players contended that the NBA’s first filing was premature or “unripe” as a case or controversy and, therefore, the Minnesota action should control and the New York action be dismissed. Although the actions would probably have been consolidated, it would have been interesting to watch each side’s strategy and to see each court’s disposition of these matters. Although not seeing the case litigated is a disappointment for many lawyers and law students, hopefully the litigants and fans are happy that a settlement (which includes a 50-50 split of BRI) has been reached. While lawyers and law students await the next major sports uprising to see whether a lockout violates the Sherman Act, for now, they should be content in knowing that an antitrust class action suit can be a very effective tool for obtaining settlement in stalemated labor discussions—and that is a very important lesson. David T. Henek is a third year law student at New York Law School. He is an Articles Editor of the Law Review. His activities include serving as a student advocate for the school’s Civil Rights Clinic (Employment Discrimination/Juvenile Rights) and Unemployment Action Center.